The month of Ramazan is just a couple of days away, and for Muslims around the world, it represents patience, compassion and self-restraint. Oh, and of course thirst and hunger. Naturally, all this demands a fulfilling sehri to help us survive the long summer days we’re about to experience. I still remember the good old days when Ramazan used to fall during winter. The roza used to last for mere seven to eight hours – something that seemed never ending back then, but compared to these summer rozas, seem miniscule. One of the best Ramazans I spent was when I had gone for my Masters to the UK. Sehri used to be at 2:30am and we used to break our fasts at around 8:30pm at night, which is extremely long. Since this is a blog on sehri, I’ll describe what my sehris in UK used to be like. It was an unforgettable experience to say the least. Our Pakistani community group, occasionally joined by our farangi (English) friends, many of who joined out of mere curiosity, used to gather together post Isha prayers (which used to end around midnight). The next hour and half was spent playing rung (colour), a card game I have not understood to this day. At 1:30am on the dot, it was as if some secret power would delegate tasks to us and a mad scramble to take up self-assigned positions would ensue. After brief scuffles, one person would start cutting fruit for the lassi, someone would chop up the chicken and vegetables for the curry. Another person would be in charge of frying the parathas, while another would clean and set the table. The person who’d be late was given the duty of cleaning all the dishes, a task no one wanted when post-sehri sleep was at its peak. Common Pakistani sehris include eggs, yoghurt, paratha, leftover curry from the day before and a cup of tea. At least that has been the age-old practice in my house. Recently, the trend of dining out for sehri has witnessed a rise. I really don’t know how people manage this because the only time I actually made the effort of going out for sehri in my sleep deprived state (and I am a foodie by the way) was back in my Lahore University of Management Science’s (LUMS) days when we had to go to the Pepsi Dining Center during wee hours of the night. During these long and scorching summer months, cooking is not met with much enthusiasm. 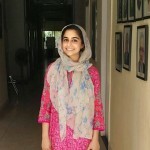 Keeping in mind the time constraint we face during sehri, I decided to post two quick-fix recipes which take up to 15 minutes each (I have actually timed them myself). 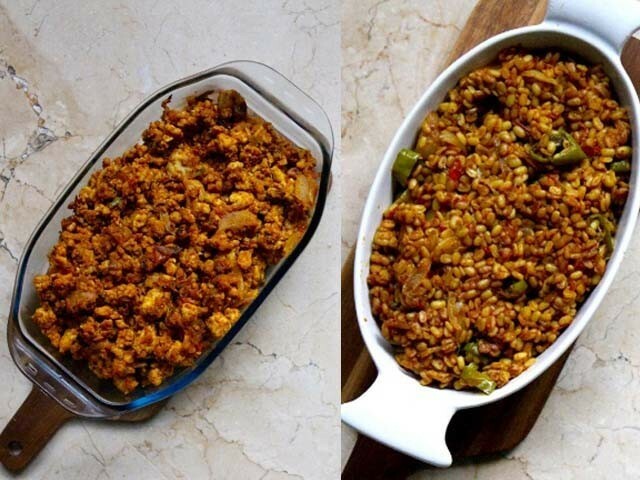 Following are recipes for extremely delicious and easy spicy daal and qeema. Boil the lentils in a cup of water with ½ tsp salt and turmeric until they are just about done. Heat the oil, fry the onions till golden, then add the ginger garlic paste and fry it for a minute. Now add the tomatoes and spices. Fry till the oil floats on top. Add in the lentils and cook on a low flame for five minutes. Heat the oil in a pan, fry the onions till they’re golden, then add the ginger garlic paste and fry it for a minute. Add in the qeema and a cup of water, and cook till the meat is properly cooked. Add in the tomatoes and spices and cook till oil floats on top. Serve these with yoghurt and warm parathas, followed by a cup of tea, and I am sure this scrumptious and light meal will help you survive the long day ahead. during the winter season. How true,,,a mere 7 or 8 hour roza !! mullahs, about the feasibility of 15 hour rozas! Believe me there’s nothing unusual about my travels ….. there are thousands who have travel experiences, I simply drawn on my experienc when necessary to make a point. and do your sehri and, your, Fajr [sunrise/dawn] namaz? you recite the first Surah of the Quran, after you are done with the sehri and the morning prayers, at the least. thru it. The roza never went into effect. You might have just starved yourself for the day. However there are various interpretations, and to each his own. Maybe you can make your roza commitment at bedtime. Ooops! Sure thing. This is a food blog. Repeat. Food blog. We must stick to the subject at hand, “Food”. No problem. it was something exotic, from Ngorongoro or Masai Mara. If you have a sweet tooth like me and like warm syrupy sweet stuff cooked in ghee……try maal puri……not bad if made well.